By placing its professional expertise in the service of maintaining the democratic values of free expression and pluralism, American librarianship not only defended its professional autonomy in the area of book selection, but also developed an ideology of intellectual freedom and claimed its defense as a central jurisdiction. This volume charts the library profession's journey from the adoption of the 1939 Library's Bill of Rights to the 1969 development of the Freedom to Read Foundation. 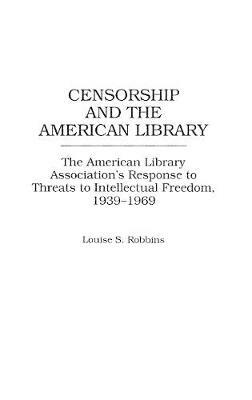 It identifies external events that posed threats to intellectual freedom and traces the ALA's response to those threats, particularly librarians' activities and discourse, and the motives and effectiveness of leaders responsible for forging the ALA's response. Much of the data is drawn from the three most widely circulated library periodicals - American Library Association Bulletin, Wilson Library Bulletin, and Library Journal - that chronicle the debates that took place during the period. More importantly, the study makes extensive use of primary archival sources, state library journals, library school bulletins, and interviews. These sources reveal that by setting its professional expertise in the service of the democratic values of free expression and pluralism, American librarianship embarked on an odyssey of self-definition, through which it has carved out and defended its professional jurisdiction.